Larry directs the overall asset services and business plan implementation for EverWest. 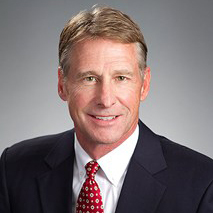 A member of the investment committee, Larry has 34 plus years of experience in commercial real estate. Larry has supervised the asset and portfolio management of more than $2.2 billion in real estate investments for EverWest and its predecessor entity. Operational management, development, marketing, leasing, and related services for The Galbreath Company's commercial real estate portfolio in excess of 34 million square feet.